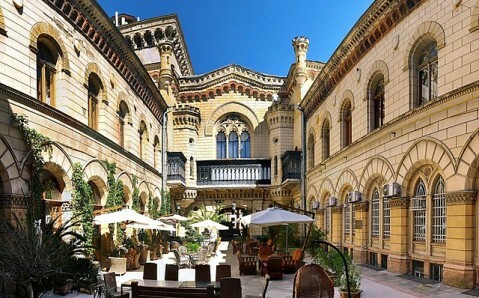 Situated in popular resort district, Bolshoy Fontan, the architectural ensemble of Dormition Monastery is one of the oldest and most famous cultic sights in Odesa. Its foundation in the early 19th century was preceded by tragic events. The territory of the monastery earlier belonged to Moldavian landowner, Alexander Teutelu, which had a mansion with a large farm here. Once, in the evening, the owner himself and his guests caught fire on the high hill next to the seashore. The bonfire was taken for a lighthouse by the sailors of a Greek ship, heading towards the Port of Odesa. Upon misrouting, the ship crashed into rocks, and the majority of sailors lost their lives. Being a very religious person and feeling guilty of what had happened, Alexander Teutelu decided to donate his mansion to the Orthodox Church in 1813. One year after, a parish church were founded that ten years later was turned into Male Dormition Monastery. The little wooden temple was built first. 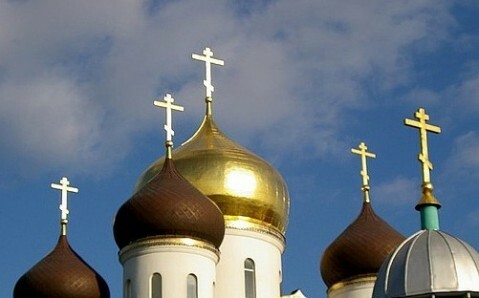 Later it was reconstructed in stone and baptized Dormition Church. Then, the vineyards were planted, the wells were built as well as hierarchal and guest houses were constructed and the monastery territory was walled up. In 1834, the second monastery cathedral was erected on funds of local philanthropists. 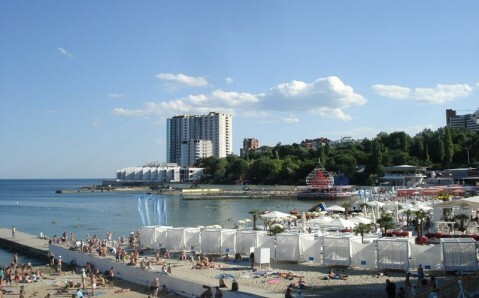 It was named in honor of icon of the Mother of God of the Life-giving Spring. Later, the monastery obtained its third church, built in commemoration of Saint Nickolas. 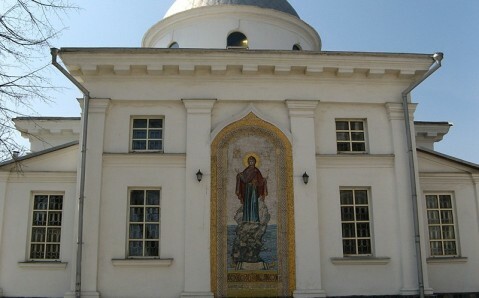 In early 20th century, the fraternity building was attached to the Eastern part of Saint Nickolas Church. 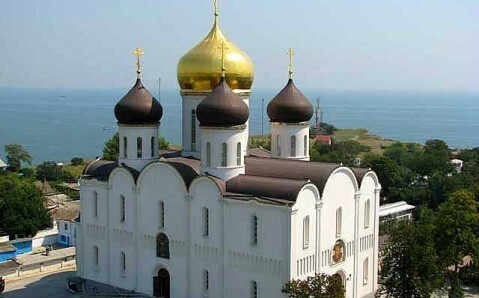 In 1936, the monastery was closed by Soviet authorities, and its main cathedral was exploded. 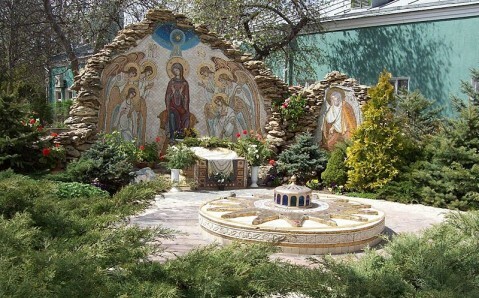 After resuming its work years later, the holy-water chapel with monastery spring was built on its site. 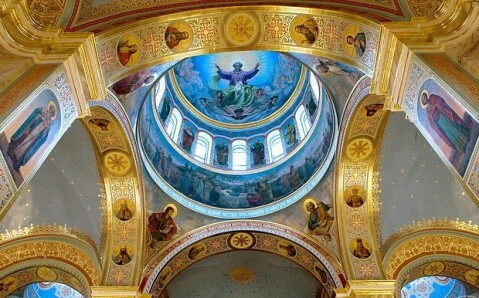 The Mother of God of the Life-giving Spring Church was turned into main cathedral and renamed Dormition Cathedral. In 2010, another church was constructed. Built in style of Russian cathedrals of 16th century, it is composed of two levels and can welcome up to 3 thousand parishioners. At the same time, an elegant gateway belfry was added to the architectural ensemble of Dormition Monastery. It is considered the masterpiece of local architecture. Since 1946, the Odesa Monastery housed summer residence of Moscow Patriarchs as a result it was nicknamed Patriarch Convent. 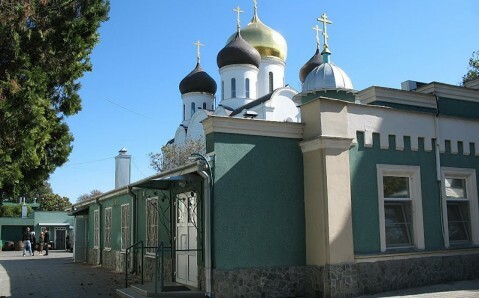 Since then its territory features the house of patriarch residence. There is a little, picturesque pond and mosaic wall decorated with Yule motifs next to the main temple of Dormition Monastery. Очень красивое место! Всем обязательно посетить! Вырос недалеко от монастыря и очень люблю эти места.